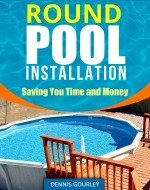 I have a 15' round above ground pool and need to re-level it. I live in Canada where it freezes hard. My question is, can I use the "pink" 1 1/2" interlock styrofoam sheets under the entire pool, including posts and track? If this is okay, do I still need to put another 1 1/2" layer of foam on the inside of pool? My pool is 54" and I have a new liner, coving and gorilla pad coming. Please advise best course of action. I will be leveling and compacting soil to level before I start anything. Hi Clint You are fine to put the entire pool on the foam and a second layer is not needed. The important part is the pool coving and you have that covered.